Easter Sunday was a day of beautiful sunshine, with some wind. We went East to walk to Whakakaiwhara Point at Duder Regional Park. 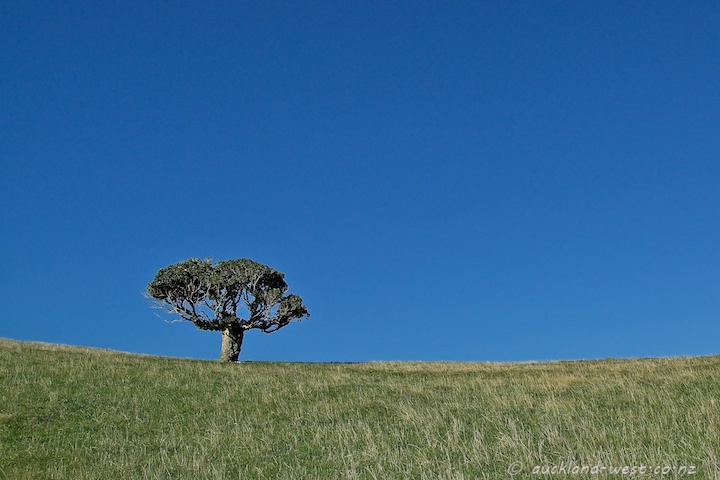 Along the way we passed this puriri tree, standing out against the blue sky.